Sit back, relax and enjoy the comforts of lounging poolside and enjoying the sweet sounds of live music. 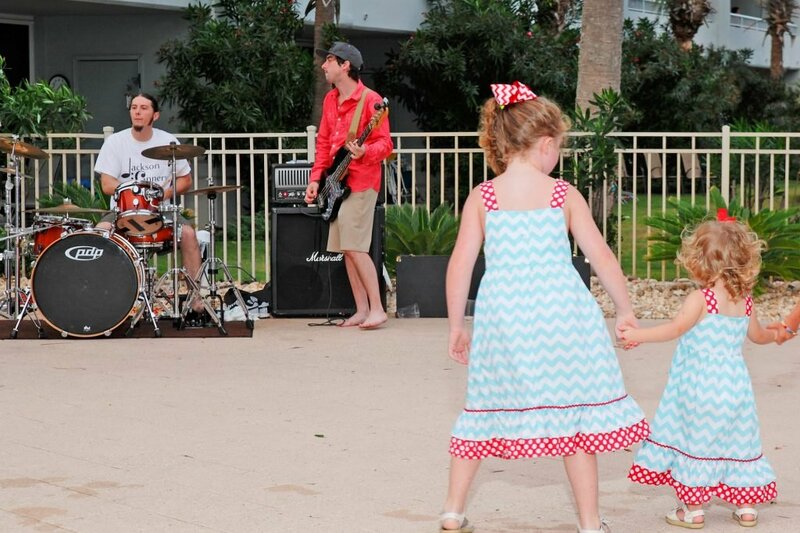 Listen to local musicians entertain and showcase their talents at the Clubhouse Pool. Come let the live music and sounds of the surf create the perfect beachside atmosphere for your family. Have a bite to eat or order a cold drink from the Bar & Grill and stay a while.